Holi is fast approaching. Get ready to welcome spring with gulal, pichkaris, water balloons, buckets of coloured water, and our top Holi recipes. Like all Indian festivals, Holi is all about rituals, colour, celebration, fun, revelry, merriment, and love. And lots of delicious food and drink...special Holi dishes. 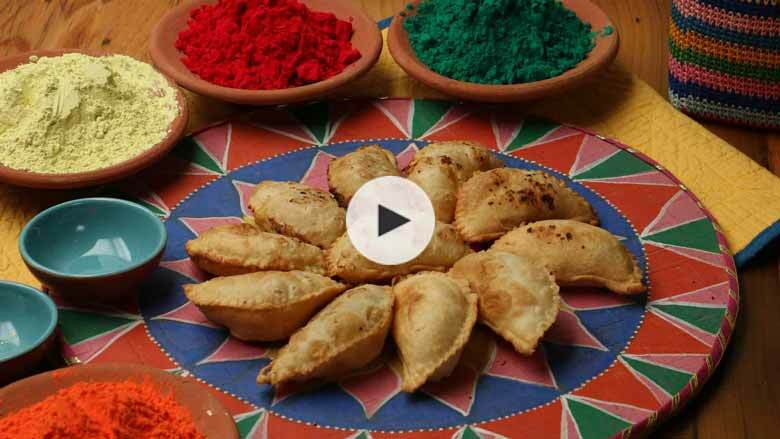 Add to the joy of this festival of colours with some awesome traditional Holi recipes that will make it a memorable and fun day. Holi is one of the most popular and eagerly anticipated festivals in India, embodying joy and love, and celebrating the birth of a new year, the promise of new beginnings, and the forging of new friendships. It is observed as Vasant Panchami, welcoming the arrival of spring, marking the harvest season, and giving thanks for nature’s bounty and fertility, hence the importance of Holi special recipes. The religious significance of Holi is seen in its celebration of the victory of good over evil. According to legend, the festival is named for Holika, the evil sister of the demon-king Hiranyakashap, who was immolated in a fire. Hiranyakashyap resented his son Prahlad who was an ardent devotee of Lord Vishnu. When Prahlad refused to overlook his father’s tyranny and wrongdoing, the king tried to kill him. After several failed attempts, Hiranyakashyap sought the help of Holika who had a cloak that protected her from fire. Holika, wrapped in her cloak, sat with young Prahlad on her lap in a bonfire, but it was she who died and it was Prahlad who survived, thanks to the blessings of Lord Vishnu. This event is celebrated as Holika Dahan, the burning of Holika, with the burning of bonfires to symbolise the defeat of evil and the triumph of good. Holi, also known as Dhuli in Sanskrit, is celebrated the next day, with people applying gulal and abeer (festival colours) on each other. These colours signify the arrival of spring. According to another legend, Holi celebrates the eternal love of Radha and Krishna. Holi as a festival of love is celebrated with much enthusiasm in the Braj region in Uttar Pradesh, Krishna’s birthplace, and in other places associated with his life. In Mathura, Vrindavan, and Varanasi, Holi celebrations last for days. In Mathura, neighbouring villages celebrate Lath Maar Holi, a unique event, in which women of Barsana village beat up men from Nandgaon village with sticks, but it’s all play acting. In West Bengal, Holi is known as the Swing Festival and Radha and Krishna are worshipped. In south India, people worship Kamadeva, the god of love. According to the lunar calendar, Holi falls on the full moon night in the month of Phagun. According to the Gregorian calendar, it falls sometime in March. Here are our top ten favourite Holi festival recipes to add to the holiday cheer and impress family and friends. 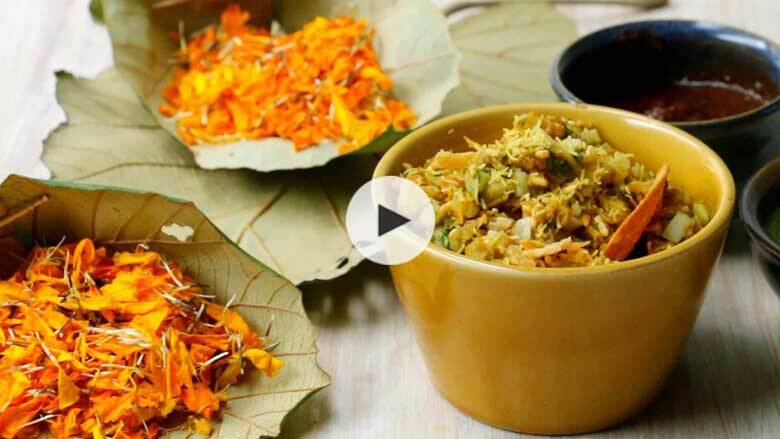 Our quick and easy Holi recipes cover the gamut from sweet to savoury and offer a taste of scrumptious and mouth-watering signature Holi dishes from around the country. Our crispy and flaky karanji recipe from Maharashtra (or coconut gujiya recipe as it is known in northern India) is the perfect Holi sweets recipe. This stuffed deep-fried dumpling is filled with a delicious mixture of coconut, dry fruits, and nuts. Our recipe of this quintessential Holi mithai is a guaranteed crowd-pleaser. 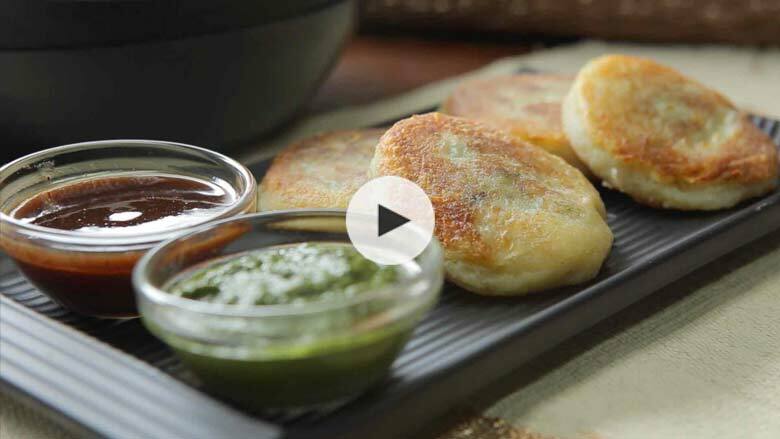 Learn how to make gujiya recipe step by step from our easy recipe video. Hot and crispy malpua is a delectable Indian pancake made of all-purpose flour (maida) and semolina (sooji or rava), deep fried in clarified butter (desi ghee), and soaked in sugar syrup (chashni or sira) delicately flavoured with cardamom. Our quick and easy recipe shows you how to make this traditional Holi sweet at home with simple ingredients. Wash it all down with thandai, a special Holi beverage (one of the most popular Holi recipes) from Rajasthan and northern India made with saffron, almonds, sugar, milk, and various nuts. This refreshing milk-based drink is a great summer cooler (as the name indicates). 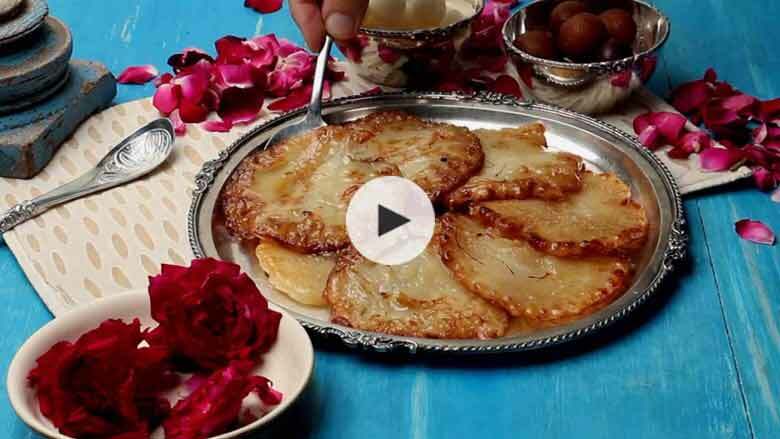 It is undeniably delicious and is an essential part of any Holi celebration. 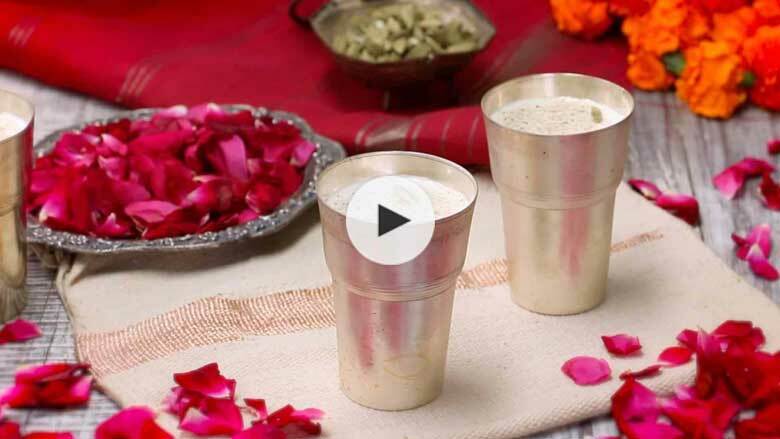 Our thandai recipe is straight from the streets of Vrindavan, and it’s authentic, easy, and delicious. 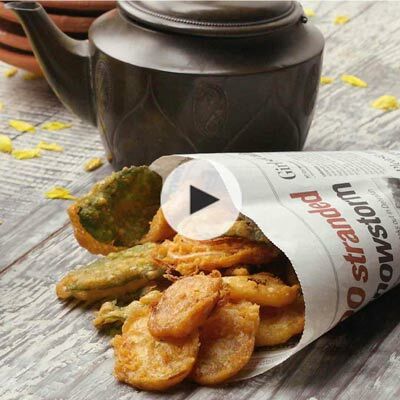 Mixed pakoras of onion, potato (aloo), and spinach (palak), along with delicious stuffed paneer pakodas are all-time favourite Indian teatime snacks, and also perfect Holi snack recipes for a boisterous Holi party. Chaat is an integral part of Holi celebrations. And we have the best chaat recipe of Holi. 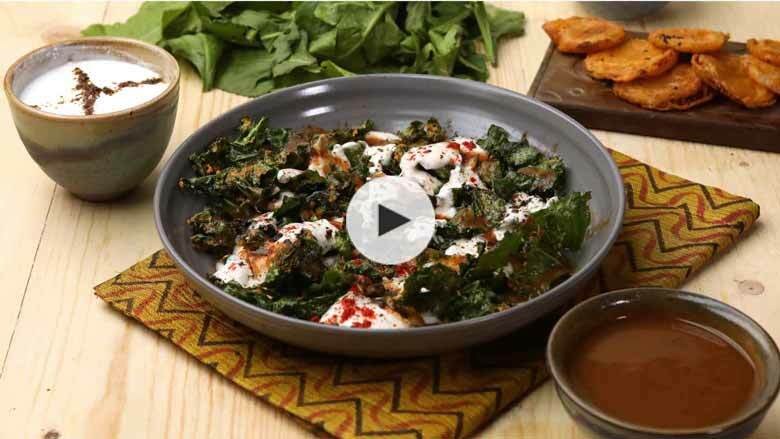 Palak ki chaat, very lightly battered spinach drizzled with spiced yogurt and a tangy tamarind chutney, is a real treat—easy and yummy, zesty and tart–and a perfect recipe for Holi. More favourite Holi recipe ideas are papdi chaat from Delhi, an irresistible recipe of spiced yogurt and savoury potatoes on crispy papdis. 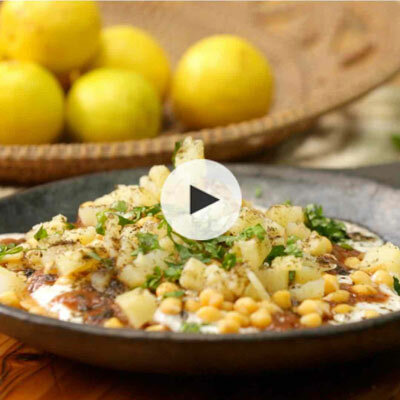 Kulle Chaat or Kuliya, an Old Delhi street food specialty, consists of delicious potato cups filled with savoury chana, tamarind, and other chaat spices. Make Mumbai-style bhel puri at home with our easy and authentic recipe, and enjoy the delights of crispy sev, tangy and spicy chutney, puffed rice, and potatoes. 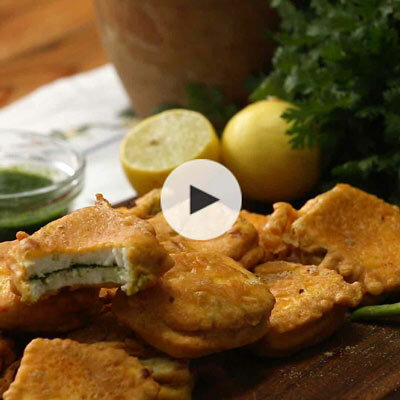 It’s an utterly irresistible recipe for Holi. And if you want a taste of savoury spiced potatoes, bite into our stuffed aloo ki tikki, divine tasting croquettes stuffed with yummy spiced peas. Our top ten best Holi recipes are guaranteed to make all Holi revellers very happy indeed.